As the nights have become darker and the days shorter, the time has arrived to get out your glam rags and start to party. It’s a stressful time of the year, but we’re here to make it easier and guide you through our season essential footwear. 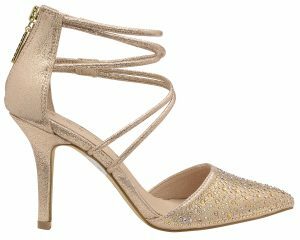 With Ravel party shoes in your wardrobe, you’ll be ready to rock in a matter of minutes, and our fantastic selection appeals to all tastes. Whatever you want to wear and wherever you are going, we’ll be there with quality footwear solutions. 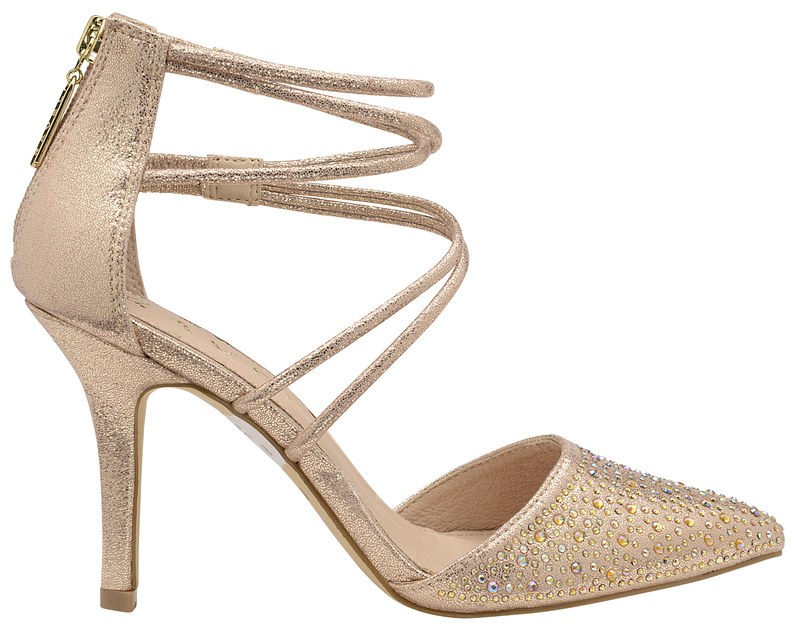 We’ve listed a few of our favourite party shoes to get you started. This season sees the launch of our most collaboration yet, the meeting of two iconic brands combines to create a capsule collection of super glamorous heels adorned with Swarovski crystals. Our bloggers are going crazy for the Aquila sandal. Every woman needs an essential court shoe in their wardrobe, this is our number one rule! 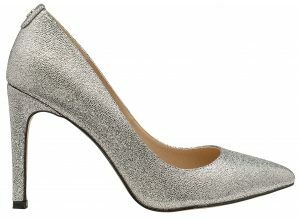 The Edson silver sparkle heeled pump is ideal for this. With an elegant pointed toe and stiletto heel, they’re great whether you need them for dinner and cocktail or hitting the dancefloor. It’ll add instant glamour to office or evening wear and because the shoes are silver, they pair with almost anything! 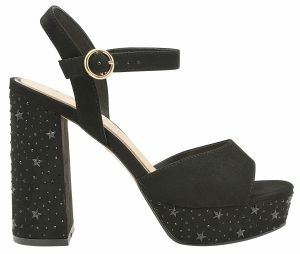 Shimmer the night away and shine bright this season with this Ravel ladies’ black platform sandal. The Delray features an open back, ankle strap fastening and a platform block high heel. Delray is embellished with star gems and dazzling rhinestones. Team with your favourite LBD for the perfect party look! Delray is also available in silver. Ravel’s Bonita is an elegant strappy court shoe, set on a slim high heel with a classic pointed toe and ankle buckle fastening with double feature straps. Diamante detailing on the rose gold upper will guarantee to turn heads on the dance floor. Pair this stunning heel with a bodycon midi dress to complete the look.